Dyson is a global technology company, committed to developing breakthrough technology and solving problems others ignore. Now with over 3,500 engineers and scientists employed in Research and Development teams, the company is consistently focused on innovation as well as working with over many universities globally to develop early-stage technologies. When Sir James Dyson created the first cyclone technology and world’s first bagless vacuum cleaner, he established the company’s enduring reputation for relentless inventive spirit. Since then, Dyson has designed cord-free vacuums, hand dryers that use 690kph high-speed sheets of air to remove moisture from hands, bladeless fans, heaters, humidifiers, intelligent connected air purifiers and a completely re-thought hair dryer. 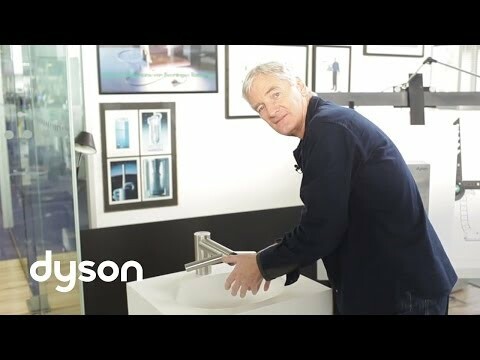 Dyson is relentless about engineering better solutions. Over the past ten years James’ son, Jake Dyson, has developed ground-breaking technologies in lighting. The range includes CSYS™ task lights and Cu Beam™ suspended lights. Both use heat pipe technology to overcome the problems with LEDs and provide you with powerful light, precisely where you need it. Contact the Dyson Professional division about hand dryers, LED lighting, hair dryers, air purifiers and fans, and cord-free vacuum cleaners for businesses.